First, thank you all for your lovely comments on my Molly Sleeves. I’m kind of in love with them, so it’s nice to see that other people like them as well. This is some merino roving I picked up from Cloverleaf Farms. The color is called “Rose Quartz”, and I have 2 braids of it, so 8oz. all together, I think. Next week will be, I believe the very last of the Sheep and Wool pr0n. Luckily, I’ve gotten a few other goodies in swaps (ok, and with the occasional purchase), so I shouldn’t HAVE to buy anything for YPFs for a while. 😀 And I still need to photograph a fair amount of my stash for Ravelry, so some of those may pop up here as well. 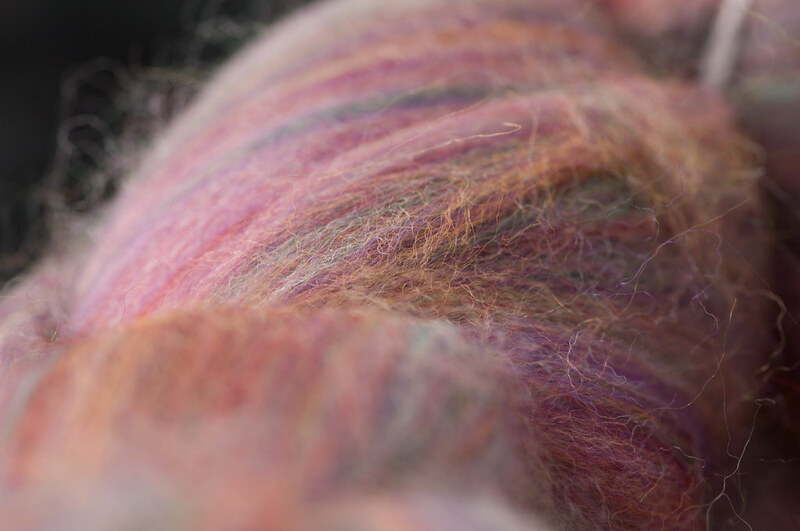 July 6th, 2007 | Tags: Fiber, Spinning, Yarn Pr0n | Category: Misc. 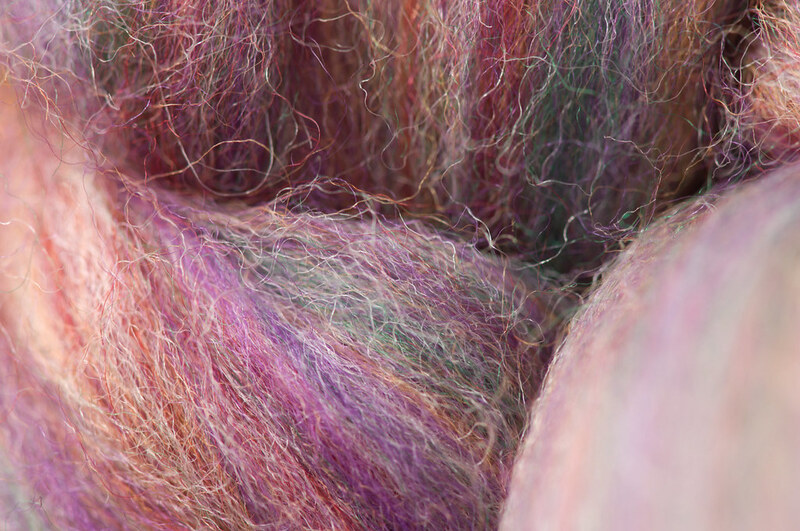 So, when are we having a spin-in so I can fondle that gorgeous roving??? Oooh! 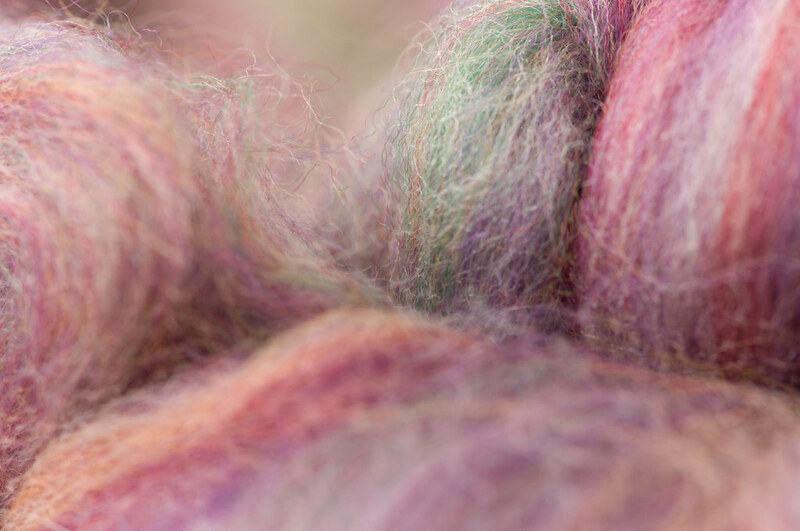 Gorgeous roving! Fluffy and wonderful, I love it. 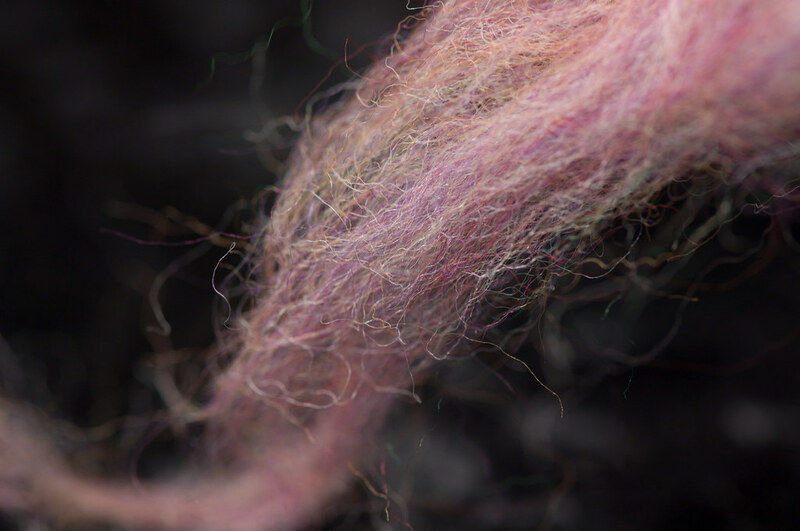 ooh, it’s like cotton candy for kniters. Oh wait. Someone already said that. Maybe if you get Turbo Fingers Turtlegirl to come over, you can get that shawl done in a day. You only have one week left of MDSW Pr0n? I have weeks more to go. Heh. That stuff is gorgeous! I can’t wait to see it spun up. Oh wow! I can’t wait to see that spun. It’s gorgeous.